Look how far she’s come! Melissa McCarthy may be one of the biggest names in Hollywood, but her success didn’t happen without some struggle to make it to the top. The 47-year-old Life of the Party actress sat down with Willie Geist for a Sunday TODAY interview airing on Sunday, May 13, during which she reflected on the beginning of her career by hilariously explaining her first days in New York City. In the clip shared exclusively with Us Weekly, Geist begins the conversation by reflecting on McCarthy’s move to NYC when she was just 20 years old. “Is it true you had $45 [in your pocket]?” the 43-year-old journalist asked the comedian. 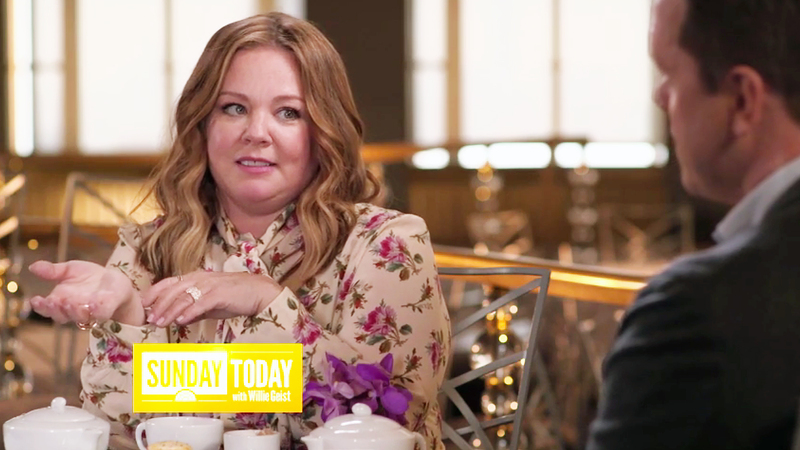 Melissa McCarthy on Sunday TODAY with Willie Geist. McCarthy also told Geist that when she made the move to New York, she just showed up at an address that a friend had given her. “I showed up with all my bags, and this girl was like, ‘What are you doing here?’ and I was like, ‘I’m moving in!’” she joked. To learn more about McCarthy’s humble beginnings, tune into Sunday TODAY with Willie Geist on Sunday, May 13, at 8 a.m. ET.